I'd just like to make a quick note about thread. 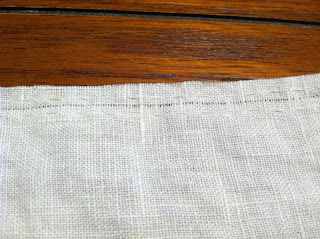 For this linen shirt I'm using linen thread (60/2 weight). 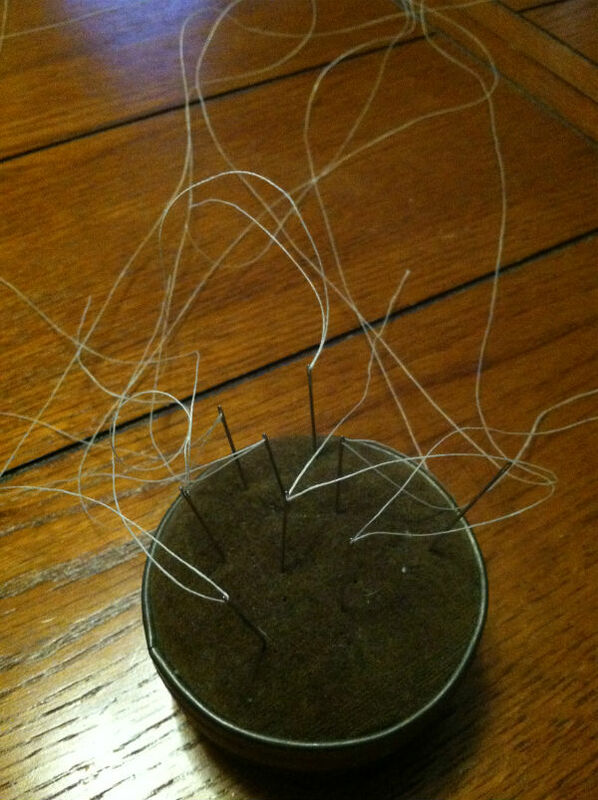 I have 8 needles that I thread up at a time, which gives me an hour or so of sewing. 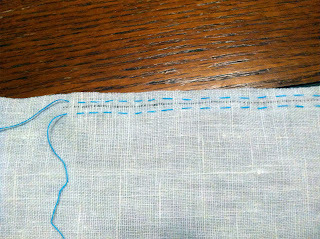 Yeah, I'm slow, but that also includes matching up seam lines and things. I cut 8 threads, each about two feet long. I don't really measure, but line them up from the edge of the table to one of the lines of the boards. Once I've cut them, I wax each thread with the lump of beeswax you see below. 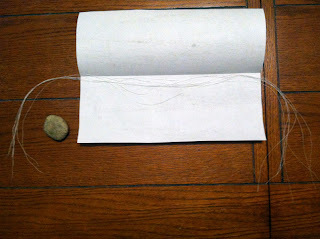 I gather the threads and fold them in a piece of paper, and then iron the paper on about the wool setting. Not too hot, but enough to melt the wax into the thread. 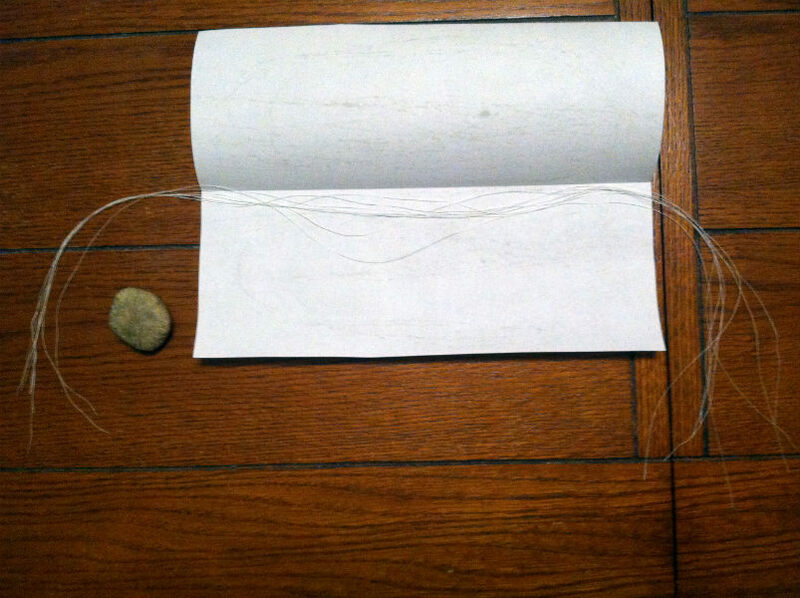 That makes the thread stronger, and keeps it from knotting up too much as I sew. Then I thread each needle and stick it in my pincushion, ready to sew. Here I'm preparing the sleeve for gathering. 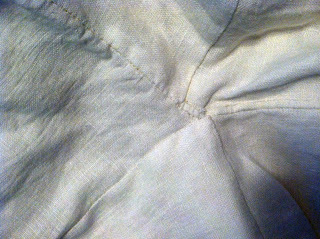 At first I was using white basting thread, but found it difficult to see the first row of stitching so I could match it with the second row. So I switched to blue basting thread. Much easier. Here's the cuff, all set in. For the record, the above pictures are of the sleeve head, not the cuff. 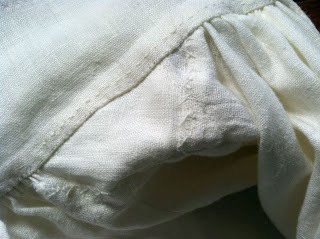 Check out that 1/8" flat felled seam - yeah! 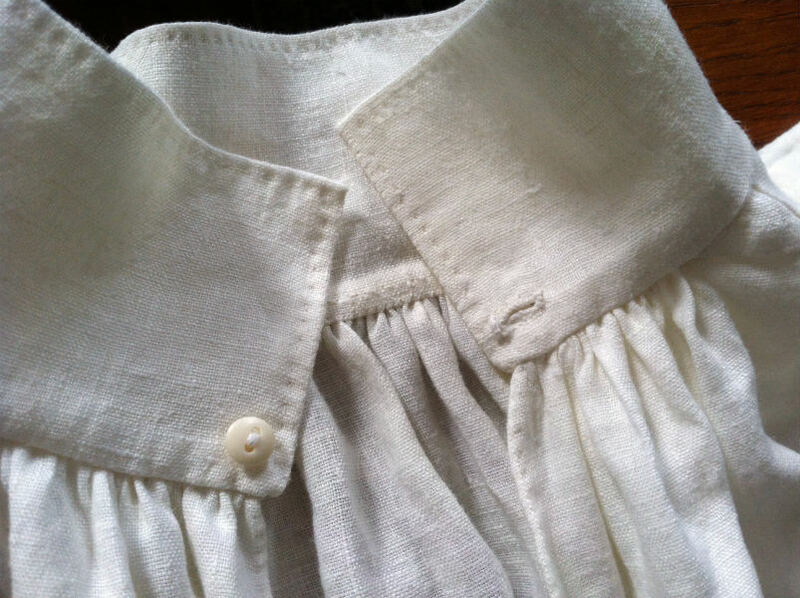 Finally, to finish the shirt I sewed in the bosom piece, also called the lining in The Workwoman's Guide. 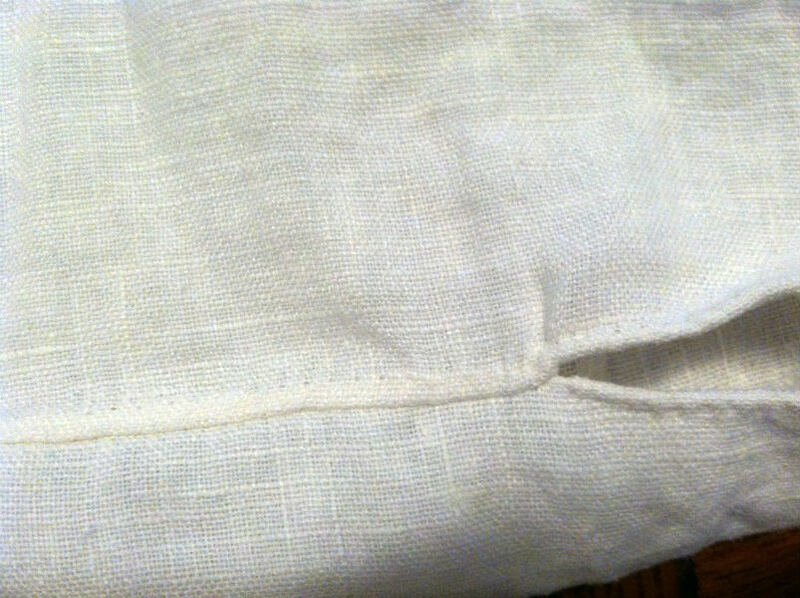 This piece was measured to exactly fit the sleeve hole, and when I fell stitch the fabric tends to creep. 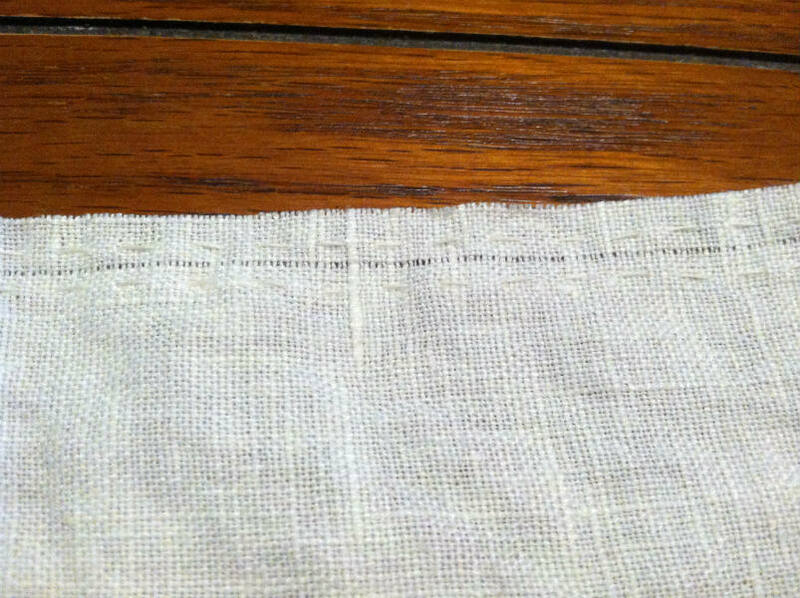 Because in my mind this is "just a shirt" and not a "tailoring" project I didn't take time to baste the lining in place before sewing it. So the ends didn't match up. No problem, I just folded over the bit of exposed seam at the bottom of the sleeve gusset and flat felled it. Finished shirt! This falls to my knees, which the directions call for. 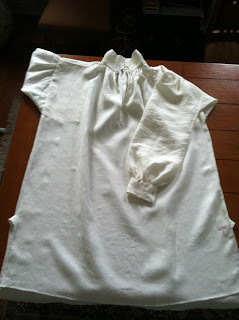 Since I already made my Regency shirt in a similar style, I called this one #2. 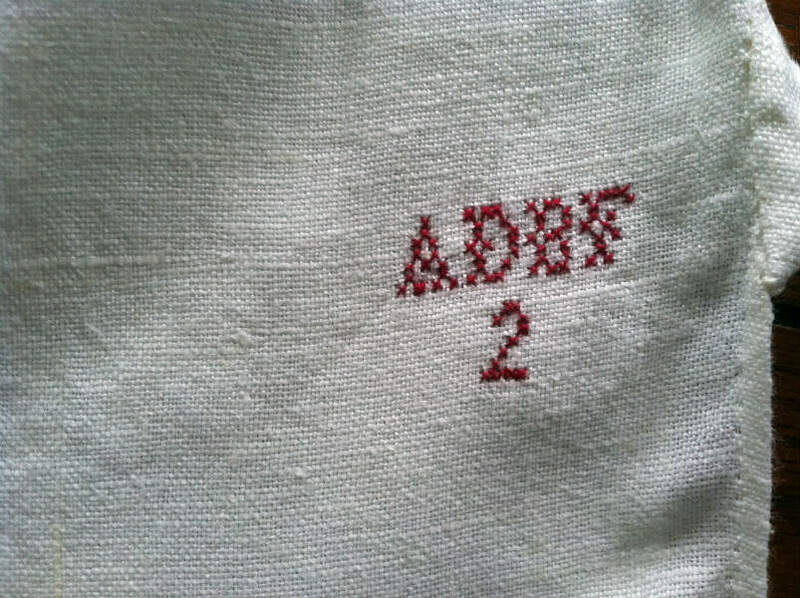 You can see the embroidery in the above photo as an out-of-focus red smudge at the left hip gusset. 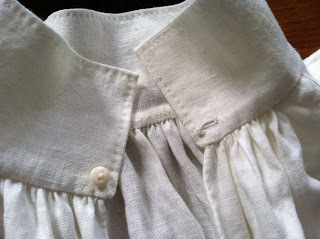 The collar and cuffs got buttons and buttonholes. The directions don't call for any particular kind of button, so I chose bone. Now, as for differences between this shirt using the directions from The Workwoman's Guide, and the Kannik's Korner pattern. They are very very very similar. I believe one of the sources for the Kannik's Korner pattern was an earlier edition of The Workwoman's Guide. 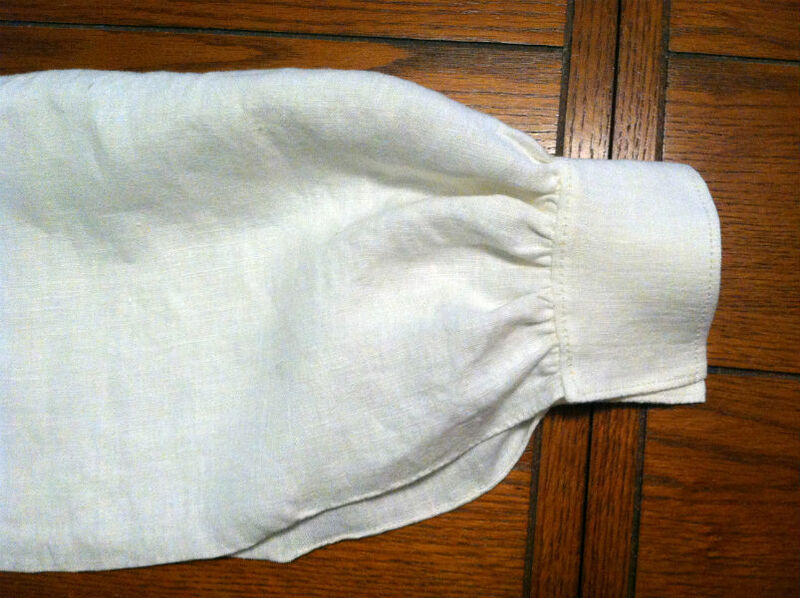 The neck gussets in this version are single-sided, unlike the ones in the Kannik's Korner pattern. 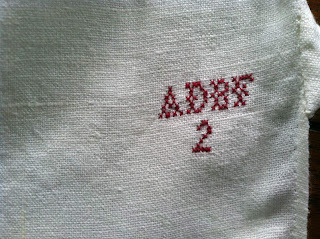 That means it leaves some exposed seams at the underside, which I cross-stitched as you can see below. 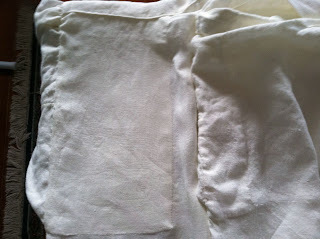 This may become a problem, and I might have to insert a second gusset later if I notice it fraying. This is the only exposed seam on the shirt. You can see the difference in collar height. Kannik's Korner pattern on the right. 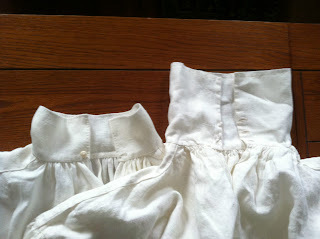 The bosom lining in this pattern is much wider (again, Kannik's Korner on the right). I can see why it's referred to as a lining in The Workwoman's Guide. Sorry I switched sides. 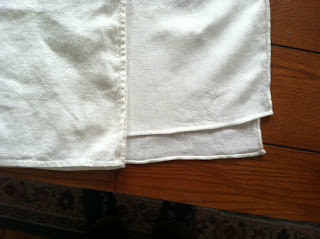 This time the Kannik's Korner pattern is on the left. In that pattern the ends of the shirt match front and back. In The Workwoman's Guide the front is one nail shorter than the back. Those are the only real differences! 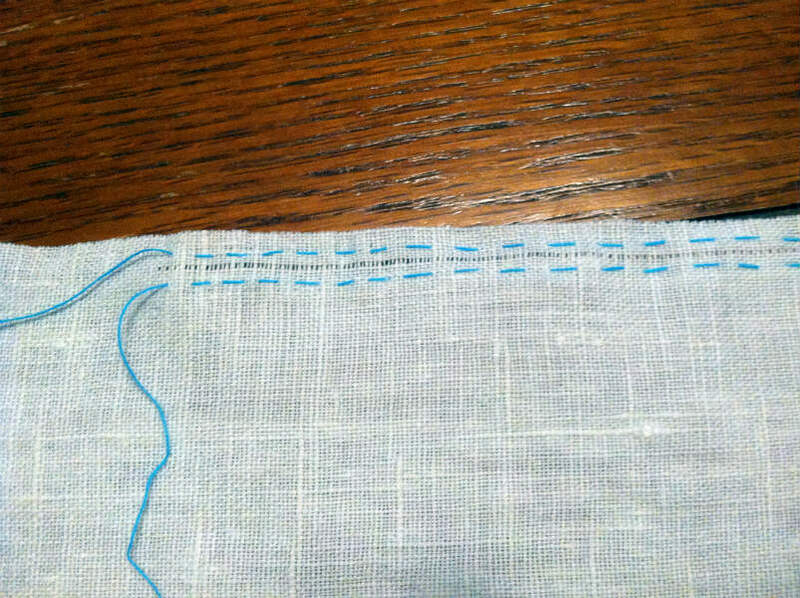 The directions in The Workwoman's Guide are in a different order than the sewing directions from the Kannik's Korner pattern, but it doesn't really matter which you use. I referred to the Kannik's Korner directions from time to time because they're written more clearly, but they're basically the same. Hi, Andrew. Just popping over from Male Patterned Boldness. I've been reading pasts post about the construction of this shirt. I love watching it come together. You're very meticulous!